According to the festival’s management board, the number of visitors to the site is expected to hit two million during this year’s festival. Yen Tu Mountain is located about 50 kilometres from Ha Long City. The area has a beautiful natural landscape and awe-inspiring scenery, being surrounded by ancient pagodas and hermitages. The pilgrimage route, which winds from the foot of the mountain up to its peak, is almost 30 kilometres. Dong Pagoda, which sits atop the mountain, is more than a kilometre above sea level. In the 13th century, King-Monk Tran Nhan Tong (1258-1308), the third king of the Tran dynasty, abdicated the throne when he was 35 and spent the rest of his life on Yen Tu Mountain, practising and propagating Buddhism. He founded the first Vietnamese School of Buddhism called “Thien Tong” or Truc Lam Yen Tu Zen on the 1,068m-high Yen Tu Mountain. 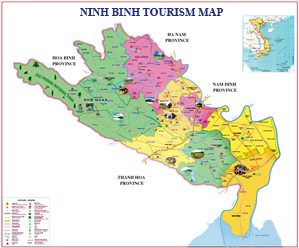 The 20,000ha site is considered to be the capital of Vietnamese Buddhism. With its significant historical, cultural, and natural values, Yen Tu was recognised as a Special National Relic Site in September 2012. It was also selected as one of the 10 most popular spiritual destinations in Viet Nam by the Vietnam Records Organisation.